No matter what your interests, you needn't wait until graduate school to delve into serious research. Your professors are experts in their fields, and they're ready and willing to involve you in their work as early as your first year. With the aid of faculty mentors, you can co-author reports to be published in peer-reviewed journals, travel to present results at regional, national and international conferences, and have a real impact on the future of knowledge. While the numbers vary from year to year, 30-50% of our students have an in-depth research experience by the time they graduate. Through its collaboration with The Center of Excellence for Faculty and Undergraduate Student Research, ORSP provides funding, support, and guidance to students involved in collaborative student/faculty research. Each year the Office of Research and Sponsored Programs hosts a week-long celebration of the accomplishments of student researchers from all disciplines. Don't miss this chance to share your hard work and exciting discoveries! Students involved in research learn to use software, equipment, and techniques that they might not have access to in the classroom. These skills will be useful in future research projects, classes, and jobs, as well as looking really good on a resume. Working side-by-side with your professors adds value to your learning experience, increases your chances of excellent recommendations and opens the door to valuable opportunities and professional connections that can last a lifetime. Collaborative student-faculty research will make your resume stand out, and often give you hands-on experience with technology and instrumentation not typically accessible to undergraduates. In the 2013 survey of alumni who participated in Undergraduate Research from 2007-2012, 68% of them agree that their undergraduate research experience was helpful in securing employment. When you can list research and presentations on your application for graduate school, you are showing not only that you are a competitive candidate, but that you’ve already done graduate-level work. When you step outside what may be your normal comfort zone and spend time working and talking with professors and other researchers, you will create a network that will carry you into the future, presenting opportunities you might otherwise miss and opening doors to all sorts of possibilities. Collaborative research projects are an excellent way to see new places. Our students have conducted research across the United States and around the world. When it comes time to present research results to the public, hundreds of students each year travel to locations across the U.S. and as far away as Australia. When you do research as an undergraduate, you will gain firsthand experience in the details of daily life as a researcher in that field. This is an excellent way to “try on” a career to see if you like the fit. You might research how plants help forecast climate change, determine the financial impact of Super Bowl ads, or study compassion fatigue among caregivers. You may have the opportunity to present your findings at professional conferences and meet experts or publish in prestigious journals. The point is, the opportunities to explore your passions and turn that path into a huge academic and professional payback are limitless. Our faculty care about your success. They mentor you, provide real-world experiences and connect you to experts in the field. Such projects will help you discover or confirm the kinds of activities you want to pursue in your career. If you like engaged learning and immersing yourself in a subject, whether it's English or ecology, this is the place for you. 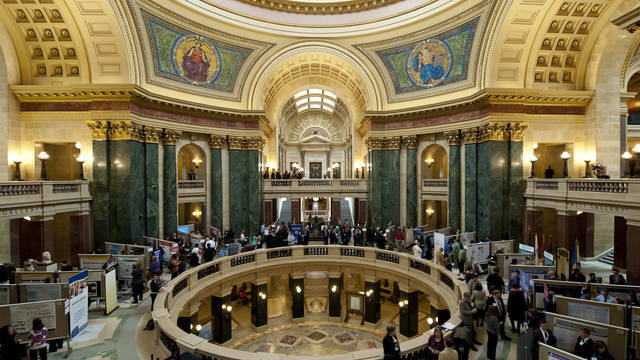 Research is so important at UW-Eau Claire that we have a whole week to celebrate it! 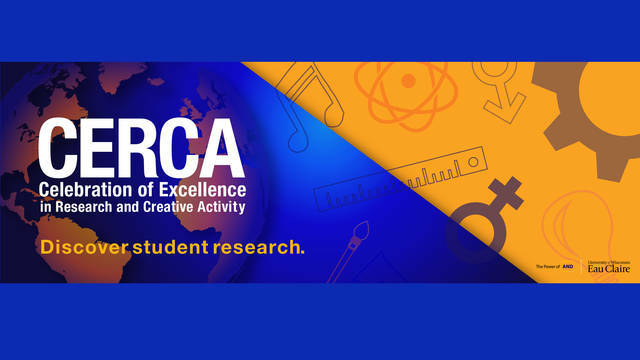 The Celebration of Excellence in Research and Creative Activity (CERCA) allows students to present their findings to the campus.